Spiders, snakes, heights, tiny space . . . what feels scary to you? 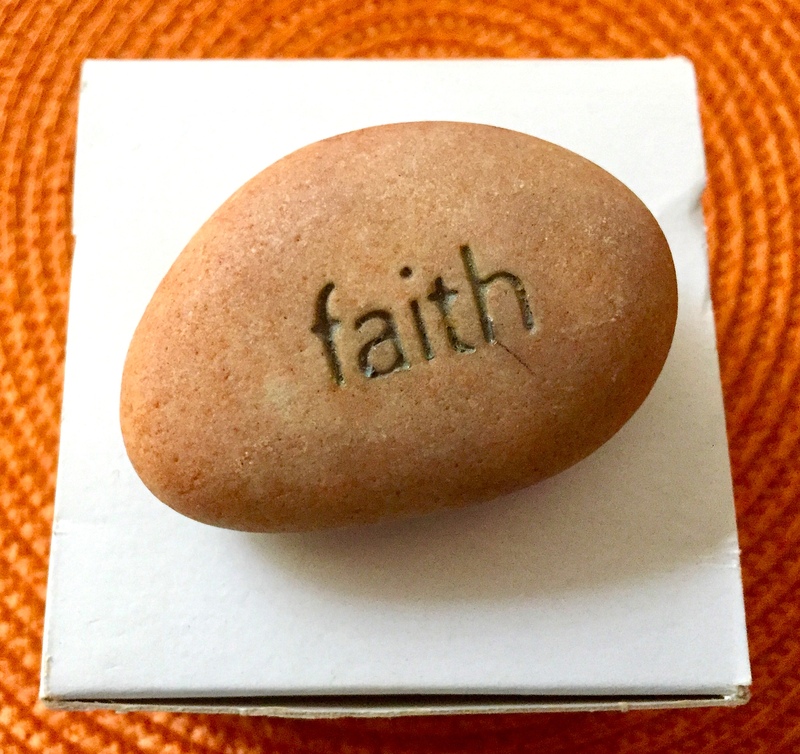 How Can Faith Counteract Fear? When we moved to our new address, previous owners had undated the kitchen but didn’t complete it with a backsplash. On a positive note, that is a good thing. Now I get to choose the design and color. A hexagonal pattern, suggestive of a beehive, may be appropriate because it alludes to sweetness, stability, and spirituality. The “Bee” image even matches the initial of my last name. We’ll probably choose something from a lighter palette than shown below. Do you like the hexagonal honeycomb design” What other patterns are pleasing to you? What quotes or comments about faith or fear can you add? We started watching the mystery/thriller Bodyguard on Netflix because we like the main character, Keeley Hawes, who also stars in the British drama The Durrells of Corfu. It’s well done, but I don’t think I’ll watch another episode because it’s too terrifying, like real life. Thanks for appearing often as # 1 here, Merril! We’re watching that, too, Marian. Yes, the Home Secretary is quite different from the mother on Corfu. 🙂 That first episode hooked us. I think we’re watching the last tonight! Just finished–it was very exciting! One of my favorite quotes on fear is “Everything you want is on the other side of fear” by Jack Canfield. Good luck with the backsplash! Thanks for offering this wonderful quote. It made me think of “Run To the Roar,” another way to express facing what you fear, Jill! I remember reading that the hexagons of honeycomb start out as circles, and then the bees heat them so that the sides flatten into straight lines when nudged up against their neighbours. It’s about community, I guess. We had hives on the farm where I grew up, so I became quite accustomed to their presence. I used to place my hand on the dripping tap attached to our outdoor well where they came in search of water and let them crawl by the dozens up my arm. The honeycomb gets a yes from me. What a fabulous story ~ and how brave, Arlene. I can’t imagine letting honeybees crawl on my arm. Thanks too for the wonderful link. I hope others click on it too! I didn’t know that hexagons had such meaning. How cool! 😀 I’ve always been partial to curved lines. Like curlicues. Your comment merges the spiritual with the physical. I agree, curvy lines are pleasing, and I guess for good reason. Thanks, Marie! I love the hexagon shape and your kitchen looks lovely. I watched a TV programme 2 years ago about how the hexagon is the most perfect shape in Nature and how successfully bees have used it to their advantage. A few years ago I crocheted a blanket for our double bed just using hexagons, which I gave to my son when we sold our house. As for fear, you cannot live an enjoyable and fulfilling life with that feeling breathing down your neck; better to hope for the best and boldly go ahead doing what you really want to do. I think your lifestyle speaks for itself (judging from Facebook and blog posts), moving forward, seeing the world and taking it as it comes. You son will cherish that crocheted blanket with such a lovely design. And I’m not surprised that the hexagon is the most perfect shape in nature and you have scientific data to prove it. Thanks for the “thumbs up” here, Fatima! Beehive blacksplash makes a perfect daily reminder of the sweet promises of scripture in overcoming fear. I have not read Anita’s book though I connected with her on Facebook during your stay in Minnesota a year or two ago. Thanks too for the link, Shirley: The stack of actual books and those on my to-read list is growing longer! When I have time, I’ll go tile shopping again. I’m getting several affirmations to chose an hexagonal pattern. It would be a sweet diversion from writing. We’ll see! When I was an employment counsellor, I did a workshop on fear, as looking for a job can be very scary for most folks. I used this and they liked it F=fantasizing E=events A=appearing R=real, because most fears are not real as John Maxwell said. I still have to remind myself of course. I love the choice of back splash. Perfect! Thank you for posting the acronyn, the antidote to fear here, truth in a nutshell! Like you, I need a daily reminder. Thanks for stopping by again today with more wisdom, Darlene! I often turn to thoughts and quotes from my dear friend Noah benShea, an award-winning author and philosopher. 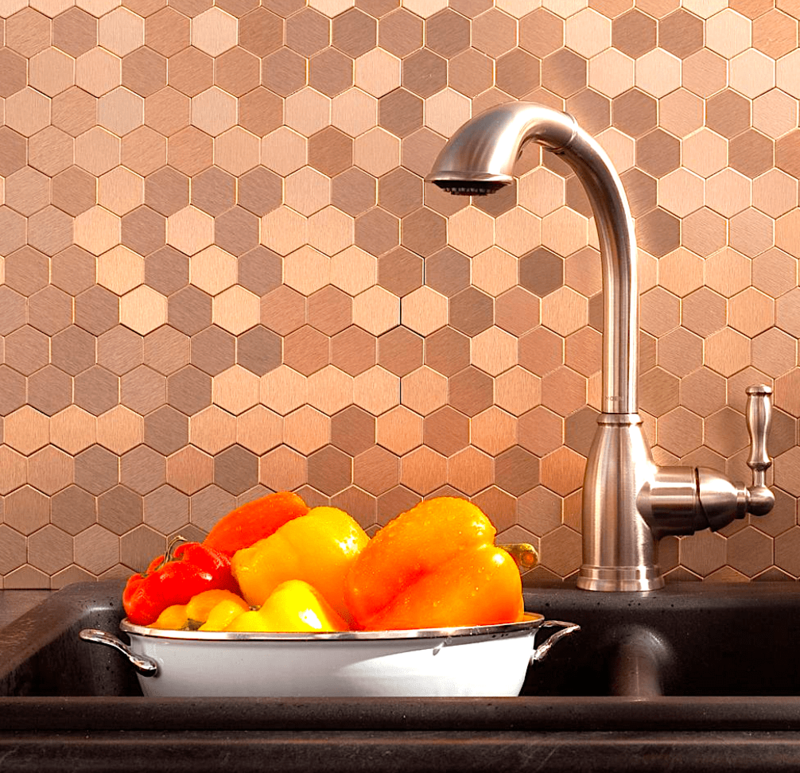 I like the bee hive look to a backsplash – it’s definitely different and comforting somehow. Marian — The honeycomb pattern gets my thumbs up, too. When you say you’ll probably do your backsplash in a lighter palette than the one in the photograph, what color(s) do you have in mind? Is there an accent color you’ll “weave” in, or? And while I’m not a fan of fear on most occasions, the times I do enjoy a good fright is while reading a good mystery/suspense/thriller book. I think it’s because I can slam the pages shut if need be. Walls are off white, cabinets maple, and countertops black with silver flecks. I use red for dishtowels, etc. Maybe something with sheen or a little sparkle. Still thinking . . . I heard the book slam shut when you described your response to thriller fright. Ha! Marian — It sounds lovely. Please post a photo once it’s all said and done. It may take a while, Laurie. My manuscript in nearing the “finish” line. But, sure, I will post a followup. Only fair, since I gave you all this build up – ha! This is the first thing I thought of when I read your BLOG on shapes. That God shaped & formed us inside our mother’s womb. He colored our personality, temperament, gifts, talents for us to explore & bring to fruitation to honor Him, Our Creator. I love the way you make me think and the illustrations you use. Your blacksplash will be spectular with meaning and input from your followers. I always “fear” cleaning a backsplash that has a lot of pattern to them. Not sure how the honeycomb would work for me. But it looks lovely. We don’t have a backsplash although I like the look. I have faith you’ll settle on the right one! You play with words for a living, and I like how you played with words in my blog theme today. Thanks, Melodie! Hello Marian, I like how you weave the making of a domestic decision into viewing the world through spiritual eyes. Those St. John’s Abbey windows–since I live right here, I’ve seen them many times. They are soul-stirring. 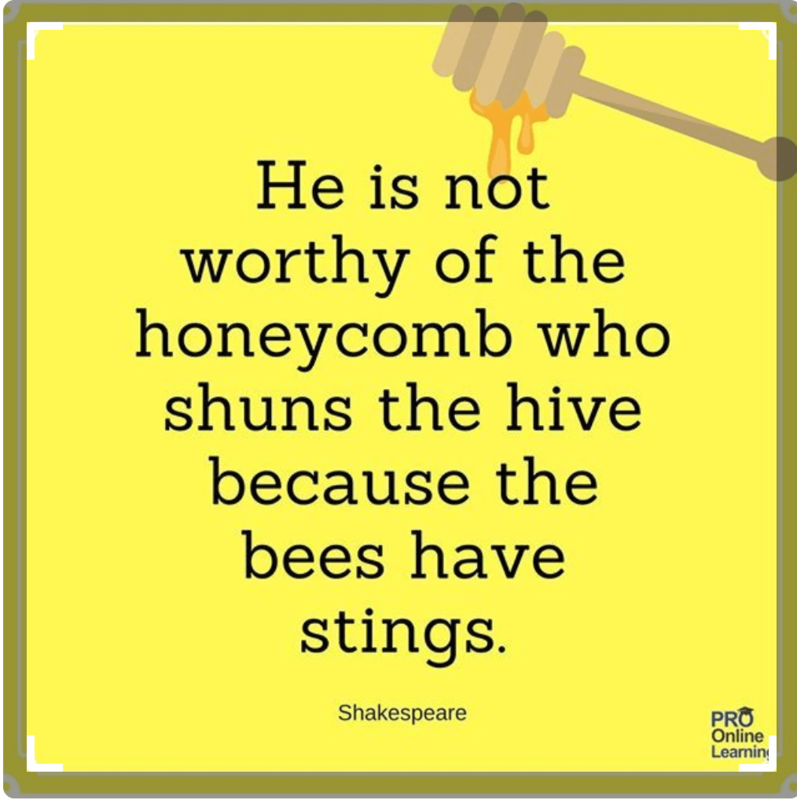 Interestingly, I hadn’t thought of them as “honeycomb,” but instead as “hexagonal.” Encountering that word amplifies the experience of viewing them. 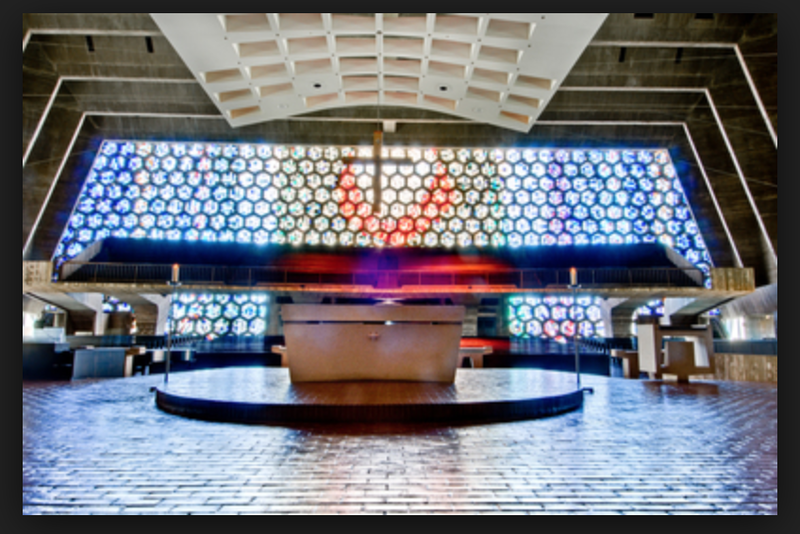 Now I must go back soon; one of my favorite meditations is to bask in the colored light. (I’ve recently been writing about ekphrasis, so it’s on my mind). My favorite quotation on fear is “perfect love drives out fear” (from 1 John). That’s been my experience. I don’t particularly like the translation choice of “perfect” because in contemporary culture that means something unattainable. I think of it more in terms of “whole” or “balanced.” You know my story. Three years ago I was alternately paralyzed with or running-on-adrenaline away from fear. It’s amazing what we’re able to do–confronting and dealing with the things that terrify us– because of love. Blessings, my friend. Thank you for allowing me to contemplate the conquering of fear today. My you find the backsplash that will fill your mind and heart in your kitchen-space with a stable, sweet presence of love. Yes, in my mind I can trace your fearsome shock of 3 years ago into now finding a space of loving acceptance. Love and loss are so entwined we are bound to experience grief along life’s path at some point, and more than once. I’m glad you have the opportunity to bask in the colored light of St. Johns’ windows. Can you hear a hint of envy in my voice? I looked up “ekphrasis” and can share this with inquiring readers: Ekphrasis or ecphrasis, comes from the Greek for the description of a work of art produced as a rhetorical exercise, often used in the adjectival form ekphrastic, is a vivid, often dramatic, verbal description of a visual work of art, either real or imagined (Wikipedia). Others readers and I appreciate your meditation. Thank you, Tracy! You always put my mind to work! You’re amazing! I have some real fears, like everyone else. One is a fear of going outside at night, in the dark, by myself. However, a night when the moon is predicted to show an eclipse, or the stars are stunning, I’ve actually been able to overcome my fear and go outside to view the sky. We live in a woods with a long driveway so I have to walk all the way to the road to get a clear look at the sky! But in my excitement, I forget my fear and out I go! Oh, the memories you bring to my mind! Thank you, Marian! Looking at stars apparently helps you stretch out of the earthly bands that connect us to fear. Thanks for sharing your moments of victory here. So appreciated, Anita. Thanks for all the helpful comments about fear !! A godly loving husband for the past 52 yrs. has been a wonderful encouragement and blessing to help me in this area. Good to hear others deal with this issue 🙂 Keep writing !! How blessed you are! Only a few get the chance to share so many years with a wonderful husband. Thanks for reading the post and the comments too, Bertha. Yes, we are all in this together. Marian, my mantra,”my faith is stronger than my fears”, usually gets me through the tough times. Love the earth tones in your backsplash! Aww, thank you, Marian. Faith is a gift and a blessing. However I do have a dread of flies and cockroaches, not sure where that comes from, but I panic when I encounter them! Just a thought: You have had to adapt to many different cultures throughout life, which may contribute to your courage. Your strong Christian faith is definitely a factor too, I believe. Flies and cockroaches don’t bother me; we have plenty of the latter in Florida, but I HATE snakes. Yes, I am very grateful for the many readers and commenters here, including you, Elfrieda. I never take them for granted. And like you, I look forward to what I can learn from their observations and insights. Thank you for yours! That backsplash is lovely and I approve. My biggest fear is for my grandchildren and all the young people who will be living in a difficult world because of the way we treat our dear planet earth. I can’t wrap my head around what they may have to face. First I like this quote: “the shapes people live among in turn shape them.” Could not agree more. Secondly I like honeycomb tiles, and had the chance to use them in our bathroom remodel, however we didn’t use them because, as you’ve shown, they look wonderful in small spaces but on a large scale, like on the shower walls, they looked too busy to me. And thirdly, about fear… my family motto is Sans Peur which means “without fear.” So I try to remember that phrase and live my life according to it. Of course, the honeycomb motif may be too busy, but my kitchen (quite large) is very bland. I need something to pep it up. We’ll see! Beautiful post, Marian. I find that fear begets worry; worry begets fear. Neither of them is helpful, so I try to breath in hope, faith, and love. Your quotes are fantastic. And I love your backsplash. It’s joyful! Thanks for sprinkling a dose of faith, hope, love, and joy here. You have brightened up a disappointing day. Hugs from me to you, Pam! Thanks for the good wishes, Pam. Yesterday I had a huge disappointment and felt bad for awhile. However, (as you know), today is another day, and I was given a new opportunity. Tra-la-la! I guess you approve. However, this is just a sample although I may pick a design along these lines.maybe in a lighter hue to brighten up the area. Thanks, Debeeeeeeee! 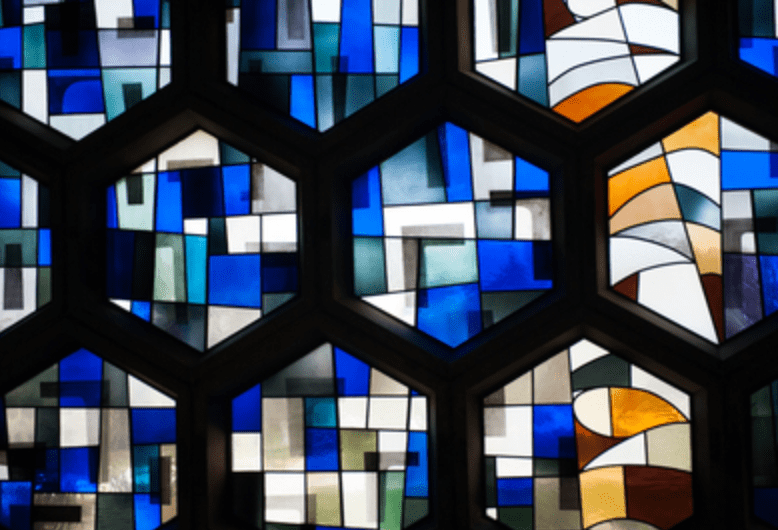 I love the hexagon design on your kitchen splash back and the church window …delightful but most of all I adore Bees …chubby , stripped jumpers , cuties to the core . Miraculous in their own perfect way . The buzzing alway s reminds me of summer . Dear Cherry, I do not have a kitchen backsplash, but I would like one.I’ll have to go shopping soon. You love color, so I’m not surprised, Fiona. Thanks! Fear seems to be prominent in everyone’s life, whether it is in small portions or bigger ones. I sometimes feel that when you don’t allow fear to enter through a crack in the door, life becomes more manageable. It’s when we start to (over)think, assume or second guess, that fear could become overpowering. How many times have we feared a certain event or hike or meeting, to afterwards admit that it wasn’t such a big deal? You’re so right! And how many times have I feared something, and it never happened. Wasted energy. Travelers like you and Mark have to make bold moves sometimes, so maybe you have mastered fear more than most. Thanks again for stirring the fires with great quotes, Marian. I like plain (does that surprise you? ), so I’d choose a lighter color without a bold design. The hexagon is lovely though, as are honeybees, so maybe I would add a Monarch or a honeybee accent on a plain backsplash. I don’t think much about house design these days, although my son and I may have a small house for me built on the land and let my son live in the old house. It’s still in imagination stage as he settles into a new job. In the future, It’s one reason I have to get myself motivated to go through storage areas. In the not distant future, I may be thinking a lot about backsplashes and handicap accessible bathrooms (long-term planning). We’ve already picked a spot with the best sunset views. The last few years, I often awaken in the night or early morning with a low level knot of fear in my belly. It’s not related to personal fear as much as the country’s climate of fear, nature’s destruction, and the barrage of hate and violence. In nature, I loathe deer tics, carriers of Lyme Disease. That “fear” helps me remember to do a tic check when I’m outside in tall grass. They’re still out there under the snow, although hidden. I stay on mowed trails. Through my spyglass, I see you with a plain backsplash and a monarch in a prominent spot (maybe close to the sink,) so you could see it on every trip to the kitchen in a future home. I loved the hopeful line: We’ve already picked a spot with the best sunset views. I like the idea of your building a small home with your son caretaker of the big place. In Lancaster County, many times that happened: the flip-flop of the generations – the older ones tucked in a corner and the younger ones doing the heavy lifting. So, you never really leave the land you love. You are smart to stay on mowed trails. My sister (PA) wearing sandals once took a walk in the woods by her house and contracted Lyme disease. Fortunately, she healed completely. Thank for your additional quotes and a reference to Marion Woodman; I believe she died this summer, but her words live on. It’s good advice to listen with the inner ear, the one I call the third ear. I wonder if it’s true what I heard once: We hear facts with our right ear and emotion with our left. Maybe I’ll try that soon when I speak to someone on the phone. Yes, indeed, fear keeps us chattering. Silence can bring steadiness and hope. Thank you too for the final challenge: Be “whole in the present.” Your comments always bring wisdom.